YouTube Kids is like YouTube... but for kids. Okay, it's not the most difficult concept in the world. Neither is the urge to take a video streaming to your tablet and make it bigger. With the latest version of YouTube Kids, your little one now has that option. Chromecast support has arrived. It's joined by a feature your kid may not be as excited for. 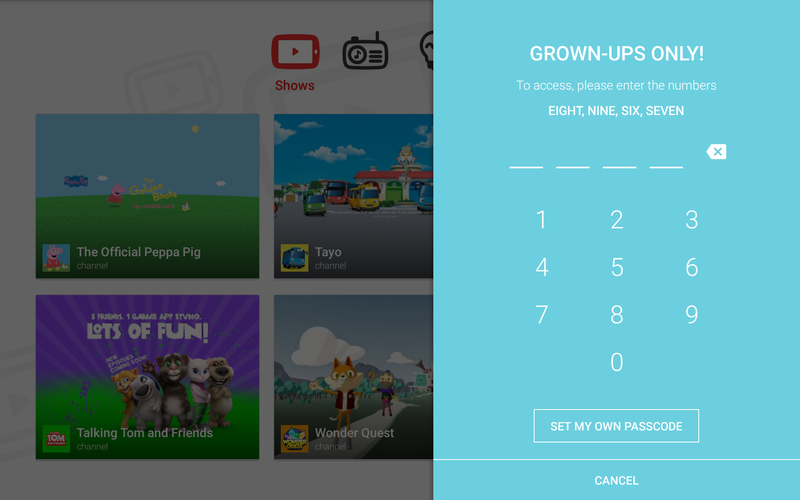 Google has included the option to create custom passcodes for accessing parental controls. You will find it at the bottom of the virtual number pad and in the app's settings. Consider the custom passcode a way to make up for the sheer amount of Elmo and Minecraft that's about to pump through your TV. Unfortunately, while the code seems to be in place to disable Casting, the option hasn't yet appeared on the Settings screen. Good thing the app lets you set a timer. 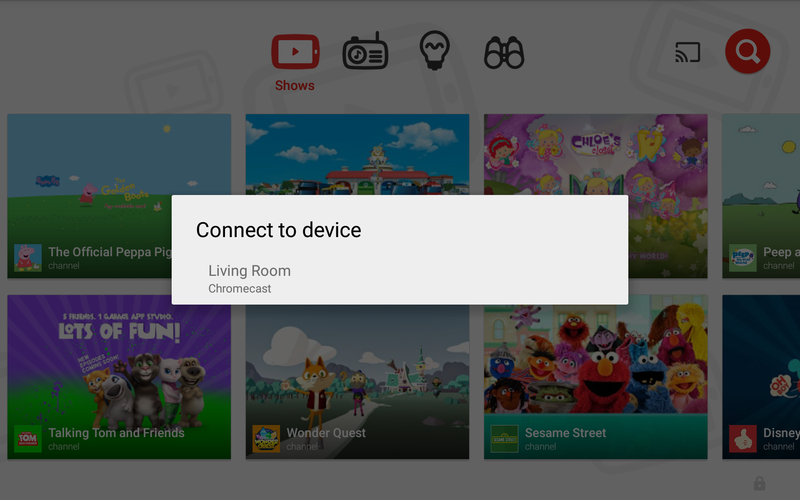 Enjoy videos on the big screen using Chromecast! Plus, set a custom passcode for access to parental controls and settings.